Hotel Don Carlos layoffs rejected by Junta | Marbella Marbella – Adelante! 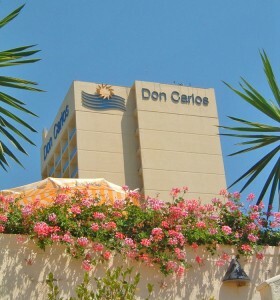 The Provincial Employment Delegation in Málaga has rejected a temporary ERE (Expediente de Regulación de Empleo) redundancy application made by the Hotel Don Carlos to lay off 87 workers. The Junta’s decision comes as many unemployed hotel workers are protesting their job losses, with unionists saying there is no justification for the widespread layoffs that have come in the wake of a major decline in tourism. A national tourism ministry report last week said that Costa del Sol hotels have lost 16% or 2,205 of their jobs in the past year. According to Lola Villalba, the CC OO union’s Secretary General for Trade, Hostelry and Tourism, the Junta said in its resolution that the owners of the hotel, Expo Hotels & Resorts, had not taken into account the economic data of the establishment. The Junta also said that a viability plan presented along with the application was not clear because it did not objectively define the criteria used to determine which workers would be affected. Villalba told that the company had wanted a 50 hour working week in the high season with just one rest day, which the union spokesperson described as illegal.